"Grabs you like a gambling addiction and doesn't let go." World class poker players are being strangled in their hotel rooms. An undercover cop has already been found out and killed, and the RCMP wants their next agent to be as far from suspicion as possible. Enter Clare Vengel, posing as a trust fund princess who thinks she'll try her hand at poker. Clare quickly learns the rules of the game, but uncovering the truth is harder than ever among people who lie for a living. Worse: she loses her real self into her glittery cover role and develops a real life attraction to a suspect she's trying to get close to. Can Clare pull it together professionally in time to stop the Choker from killing again, or are her handlers right to doubt her? Should she fold her hand before the next victim is her? 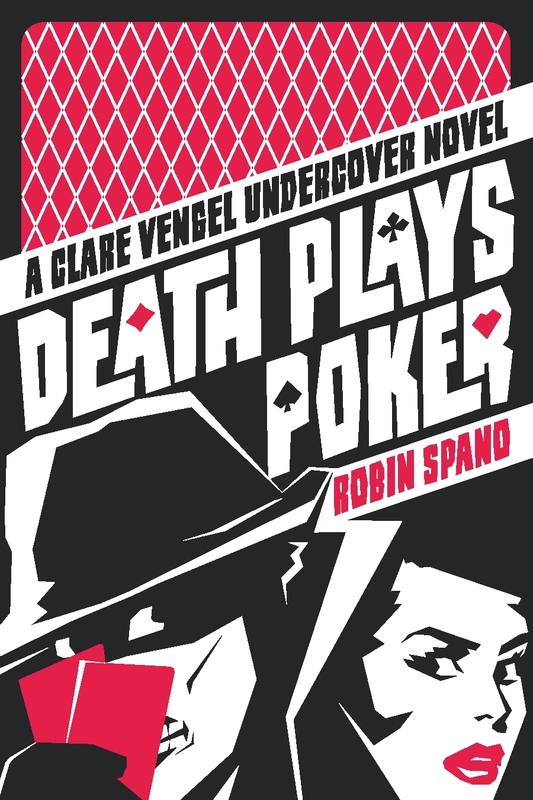 "Smart, stylish and sharp, DEATH PLAYS POKER is an engaging whodunit. Robin Spano's well-constructed plot keeps you guessing, but it's her unstoppable heroine, Clare Vengel, who keeps you turning pages late into the night." Order from Amazon.ca (Canada), Amazon.com (USA), or other online booksellers.